PLUS WIN THE WARDROBE OF YOUR DREAMS! Thistles Shopping Centre, Stirling will be the country’s most fashionable destination next week with the arrival of Wardrobe Goals, a unique and exciting fashion event guaranteed to wake up your wardrobe for spring 2018. 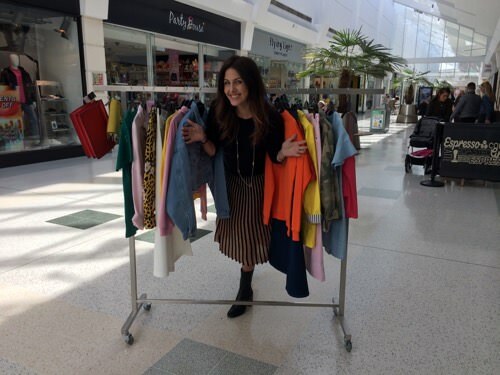 Launching on Friday 4th May and running for ten days until Sunday 13th May, Wardrobe Goals is an unmissable, free interactive fashion consultation located outside Boots between 9am – 5.30pm. Take a trip to the wardrobe of your dreams with an interactive vending machine which, after taking a personality test, will direct you to the wardrobe of spring fashion best suited to your personal style. A fabulous free beauty gift from the Wardrobe Goals vending machine will be presented to every participant after taking the quiz. From glamorous and classic to fashion-forward and sporty, the must-have items available from Thistles, Stirling retailers will be on display throughout the Wardrobe Goals installation, including a man-cave styled wardrobe. What’s more, one lucky shopper will have the chance to win a £500 Thistles Gift Card to spend on the entire contents of one of the four wardrobes the vending machine directs them to walk into. Simply take a selfie in the chosen wardrobe and upload it to Facebook or Instagram using #WardrobeGoals to enter.